Our state of being should bring forth harmony for all. And this means allowing each their own, without judging or criticizing. For criticism is merely the lesser frequency of judgement. And there are ways to prove a point that are more constructive than outright criticism. Now, that being said, we can take this immutable law and use this to our benefit. By expressing our state of being we are ever desirous of being immersed in, from within. And the reality will bring more of its kind, from without. And the key is that we must truly love what we are expressing, with our full passion. With our true joy and desire, we love and live the state of being we choose to express. This is living our truth. Our thoughts are ever creating, as they are electrical. And realize that this is not just in our “waking” reality. For when we dream and imagine, we are creating in these realms as well. And the majority of humans have been conditioned to disregard these realms of reality that are as “real” as the ones we exist in when we are “awake”. Yet, these realms are truly just as valid. And these realms do much to bring about the reality that is reflected to us throughout our day. As we integrate all that we have learned and as we transcend these lessons through integration, we must recognize that we are bringing back into wholeness more of what has been fractured. For our reality went the path of fracturing our aspects further into the reality, then was necessary. This is why we are bringing everything back together by bridging all back together, once more, in Oneness. We are once more building a conscious bridge that traverses the veils between our conscious, subconscious and unconscious. 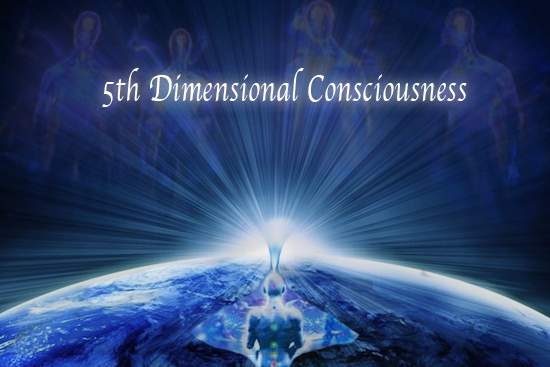 We are bridging our reality within the 4th and 5th dimensional realms, without a veil. We are bridging our reality with our cosmic family from a more conscientious relationship of equality, once more. And we are bridging a transition between the 5th and 6th root races of our own humanity, here on Earth. All of this bridging of the realities is to be done in balance and through a bringing together the aspects of these realities that have been fractured, as well. For as we ascend and transcend that which is not our truth, we become more aware of that which is our truth. And our truth expands to Creations that are expanding through us, throughout the galaxy and universe, as well as the planet. We are “seeing” all of the fractured pieces, once more “unite” back into the Oneness that we have always been. And this takes place in the most benevolent of ways, if we do so in balance. For throughout the duality, is always the balance-point. The “sweet spot” of harmony is through balance of the whole, in love. As we went the direction of fracturing ourselves further in creation, we have those that are related to us from other parallel realities, that went the path of Oneness as a species. With the exception that these ones, through misconception, removed all aspects of individuated identity, as well as emotion when they chose their path of “group consciousness” over individuated consciousness. For they felt that their world was ruined through their individuated personal expressions, which included emotion. Thus, they engineered individuality out of their reality, as well as emotion. And they progressed throughout the whole of this universe and reality, until they reached the apex of this octave of existence. And when they tried to go further, they realized they couldn’t because of their invalidation of their own individuality and emotionality. They felt stuck. And as the cosmos is ever seeking a balance-point, we have drawn each other together; to learn from our extreme diversity in experience. As we are at opposite ends of a dualistic expression. For we are expressions of individuals that have fractured ourselves to an extreme in this reality. 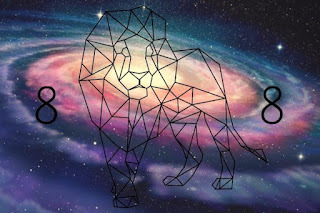 And they are expressions that are very closely related to us that choose to instill a group consciousness reality at the cost individuality, and without the benefit of emotions. Thus, denying the individuated aspects in favor of the whole. They “invalidated” their own aspects of emotion and individuation expression, to the extreme. Thus, those known as the “watchers” or “founders” or “the ancients” were brought forth for advice. And they are the ones that found that we would be able to best serve each other, through our finding of a balance-point between our realities. For we both choose realities that are extremes in a dualistic fashion from each other. Those of the “hive-mind” with no individuation of expression and those of “fractured” individuated consciousness, believing themselves separate from the whole. We didn’t recognize we are part of the whole, as individuated expressions. They didn’t recognize their individuated expressions, within their whole of reality. As they were desirous of assisting us, so that we would not go the path of destruction that they chose, that lead to their eventual elimination of emotion and individuality. They were allowed to come into our “time-frame” and parallel reality that was the most similar to their “divergent-point” were they went the path they chose. Throughout the whole of their group-consciousness and the denial of that which was there for their growth, that was instead engineered out of their being. Individuality and emotionality. Although their intentions are admirable, in their desire to assist us so that we don’t repeat their mistakes. Their interactions with us have been deemed, “less-than” desirable. As they no longer know or recognize emotions. And our interactions with them have been from a rather irrational emotional perspective. As our fractured-consciousness responds in a rather “schizophrenic” manner to them. And we are not even consciously aware of this. And yet, through the interaction of our realities, we have brought about a very positive change. As this process has forced us to integrate these aspects of consciousness that have been fractured for far too long. And, as we will be interacting with our families from throughout the cosmos more and more, we must recognize and integrate more of who we are. For we have graduated to this next level of evolution. We must recognize our star seeds. As this is our present and future, do we not see how our trivial reflections and bickering among each other as a planet and a people is extremely limiting. For we are expanding into more of ourselves. And this means we must integrate our past experiences. And this means realizing that as we expand in consciousness and as our planet ascends, we are bringing in more of our cosmic family. We are only increasing in Oneness. 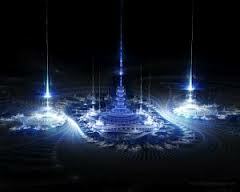 We are expanding into more of our multidimensional aspects. And this is taking place more and more in our now moments. Expansion is inclusive, not exclusive. And this is our direction, we are expanding into more of who we are. We are bringing in more of our Unity Consciousness, as these others are learning about expressing as an individuated member, once more. And the balance-point will bring about much needed change in both societies. Our future selves from another parallel reality that is much further down the “time-space” continuum than ourselves, came back to our reality to effect a change that would assist both them and us. And so far, it seems to be succeeding. Does this not demonstrate the power of our thoughts and our emotions? For thoughts are electrical and emotions are magnetic. And this manifested in a grand way through similarity of thought and emotion, or lack there-of, in both of our realities. We reflected and manifested each other, in a cosmic expression that seems rather grand. And so, Creation goes on and on. Remember, there are no accidents. Our cosmic families are interacting with us through our dream reality and our subconsciousness more than our consciousness. As we are still fractured too much, to recall conscious interactions. And yet, as we integrate and expand into our Oneness and Unity Consciousness, we will bring back into wholeness more of these “fractured” aspects of our consciousness. And we will begin to recall, more and more of these interactions that all of us have had. And we will expand our friendships and families, once more. Be ever desirous of reuniting with our ever-expanding truth of who we are. Remember, we are the ones we have been looking/waiting for. We are the ones that are in physicality, building these bridges that have existed before, once more to these realms. As they build the bridge from their end, we meet in-between. We solidify the whole of our reality from our, here and now ever-eternal moment. Except that these bridges we are constructing are permanent, for the permanent golden age of Earth. As Gaia takes her place as Freedom’s Holy Star. And as she is the nexus “heart-chakra” of our universe, expect these expansions to grow ever-more. As our cosmic family “re-introduces” themselves to us, once more. And we expand and integrate more of who we are, eternally. 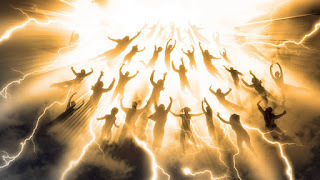 Through the ascension of all ascensions in our time. The “re-ordering” of our cosmic day, back into Oneness. The bringing forth of Unity Consciousness, with the Diversity of Individuated Expressions of the Divine. Ever perfecting the already perfect Creation. Ever joyously bringing into Wholeness the many fractured aspects of the Divine. Expanding and integrating through balance, in love, harmony and peace. Bring forth the highest expression of a “time-line” in which we expand ever harmoniously and benevolently into the truth of who we are. Bring forth the emotion of Divine Love and be in a state of being in awe, as to the beautiful never-ending spiral of ascension. Send forth thoughts that are the purity of our Divine and Loving expressions. Emote, the glories and joys of bliss in expansion and growth. Call forth Beloved Sophia, in honor and glory to bring forth the wisdom and knowledge so necessary for us through this transition. Beloved Goddesses and Gods in training. Create Grand Expressions, Always.